Metalcloak's JL Wrangler Overland Front Tube Fenders are the first production Steel Tube Fenders for the Jeep JL to incorporate the iconic JL Running Light and have more clearance then Stock JL Rubicon Fenders. Built with Metalcloak's award winning standard for quality and fitment, the Overland Fenders provide great looks with the additional strength of steel in an easy to install package. Availability: Raw Metal Should Ship in 2 to 3 Weeks. Add one week for Powdercoating. The Overland Tube Fenders are famous for their great looks and precision fitment. 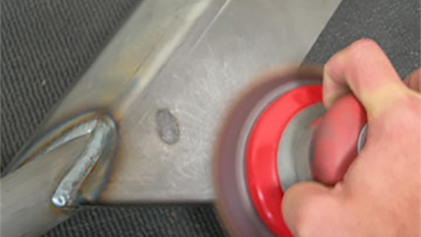 This is our easiest to install fender and is the perfect replacement for the factory plastic pieces. OVERLAND Front Fenders from MetalCloak. 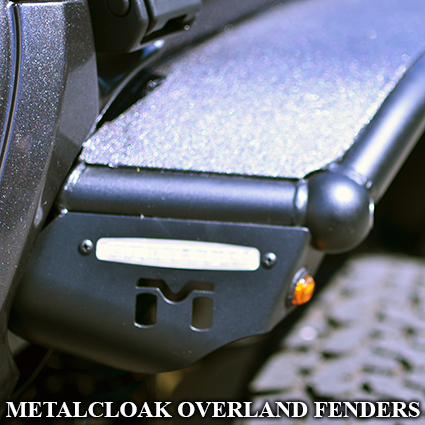 The Overland Fenders have all the coverage you want with the precision fit you expect from Metalcloak. Each fender is CAD designed and engineered for the highest quality and the best trail-proven performance. And the clearance is more then the Stock "un-cut" Rubicon Fender. 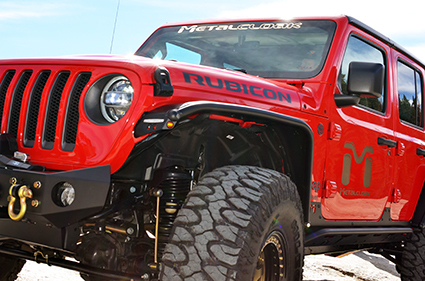 MetalCloak's Fenders are about clean lines and great fitment; it continues down to the last details. 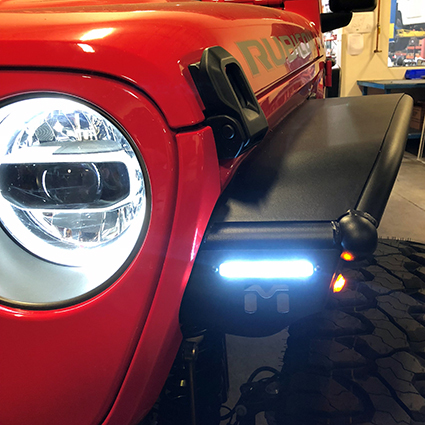 Your Overland Fender kit includes a bright and integrated LED Running Light Strip and 3/4" Amber LED Turn Signal.